Age 45, of South Point, passed away Saturday, April 13, 2019 at Our Lady of Bellefonte Hospital in Ashland. He was born January 24, 1974 in Portsmouth to James H. Elliott and Beverly Slark. 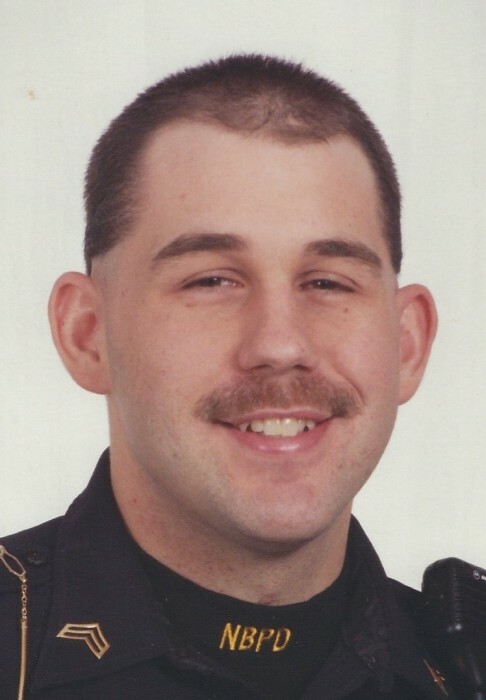 James was a 1992 Glenwood High School graduate and served 10 years as a New Boston Police Officer. After leaving the force he became a Respiratory Therapist. In his spare time he loved to camp, fish, and hunt. James is survived by his father, James H. Elliott of Delaware; mother, Beverly Slark of New Boston; wife, Sherri Elliott of South Point; son, James Michael Elliott of Portsmouth; brother, Chad Elliott of Portsmouth; grandson, Jonathan Jerimiah Elliott; stepchildren, A.J. Keeton, Derrick Keeton, Emily McCoy; step-grandchildren, Brylen Keeton and Natayla Keeton. He was preceded in death by grandparents, Ralph O. Slark and Cathern Slark; a brother, Jeremy Elliott; stepfathers, Sam Bean and Denis Kirkbride. Funeral services for James will be 1:00 p.m. on Wednesday, April 17, 2019 at D.W. SWICK-NELSON FUNERAL HOME in New Boston with Pastor Bob Morrow officiating. Interment will follow at Sunset Memorial Gardens in Franklin Furnace. Friends may call on Tuesday from 5 – 7 p.m. at the funeral home and one hour prior to the service on Wednesday. Fond memories of James and expressions of condolence may be shared at www.DWSwickNelsonFuneralHome.com.